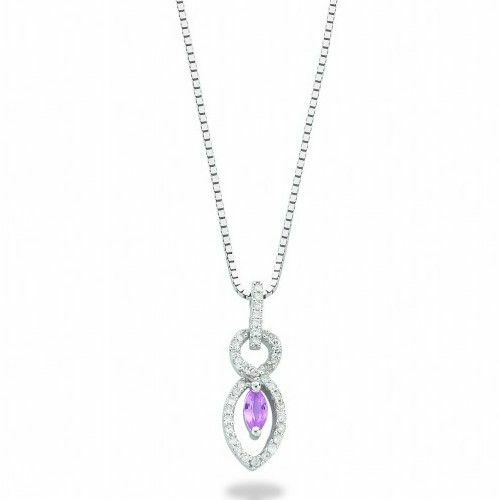 9ct white gold 0.21ct diamond & 0.27ct pink sapphire drop pendant. Complete with 18 inch 9ct white gold diamond cut trace chain. Comes complete with beautiful presentation box. Please allow 3 working days for free UK delivery.